The first attempt to start a Basketball Program on Barclay Street was unsuccessful. We played 5 games. Lost each one and our team folded. We had no commitment. 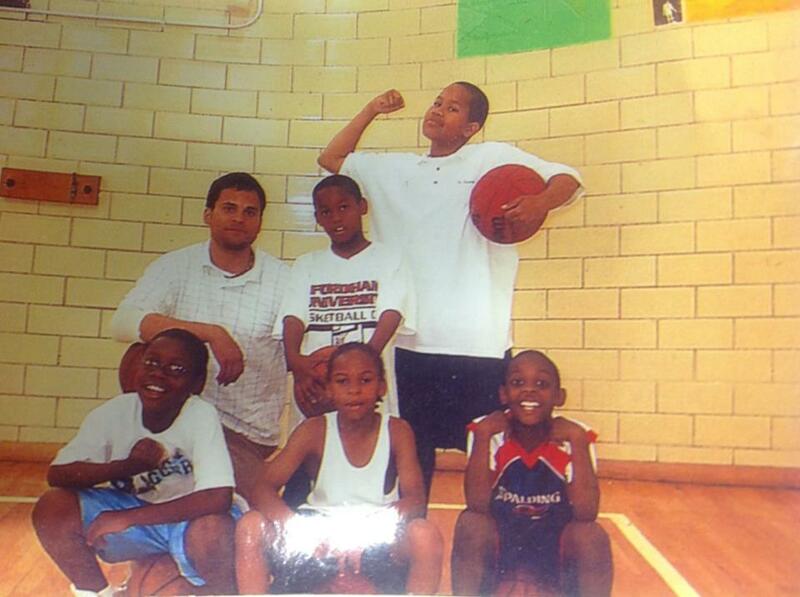 We had no understanding of what it meant to play on a basketball team. So I started from the bottom. I wanted to build a program on Barclay Street that taught our scholar athletes how to compete (athletically and academically), so that they could be successful in high school. The Bulldog Program owes it all to these Fab Five. Courageous. Tenacious. Relentless. We started a Basketball Club (4 third graders and a fourth grader) in the Spring of 2005 just practing everyday in our hot little gym. The next year we actually played a neighborhood game… vs. Margaret Brent and got trounced 52-0. Ouch! but these ‘Dogs didn’t give up. Didn’t point fingers. Just went back to the lab. The following year we picked up a few 7th and 8th graders and played in a league down at Lombard Middle. We won a few games, but sub .500 for sure. Back to the Lab, we started raising money in the Community to send our guys to summer camps, Calvert Hall, Morgan, St. Frances, St. Paul’s and HARDWORK PAID OFF! 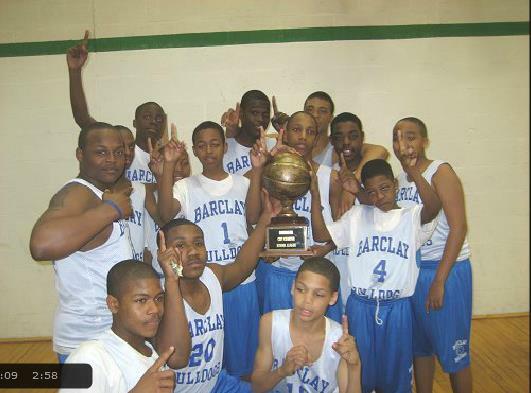 In 2009, the team rounded out and won a Championship down at KIPP Academy and came in third place at the BCP Lombard Middle League. This group of parents did everything from drive the bus to sell the hotdogs. Great Parents create great children. These boys refused to lose. Many went on to play Varsity high school sports and graduate from schools like City, Digital, Mervo, ACCE and Southwestern. Those first teams have inspired a wave of talent and hard work on Barclay Street. 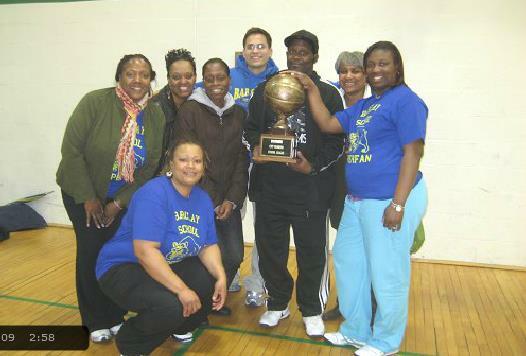 Today the Bulldog Progam is a force in Baltimore City Basketball Leagues. Devoting itself to intelligent play and tenacious defense. Academics and behavior are key parts of the program. To perform on the court, you have to perform in the classroom. This group took it to heart and won the most games in school history, 23 in 2013! 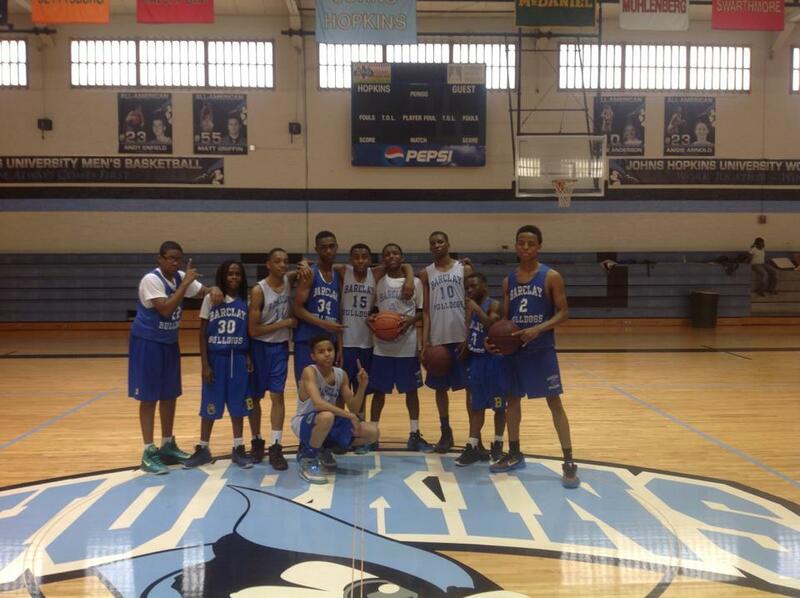 Scholar Athletes from this team have gone on to Calvert Hall, St. Frances Academy, Dunbar and Digital Harbor! 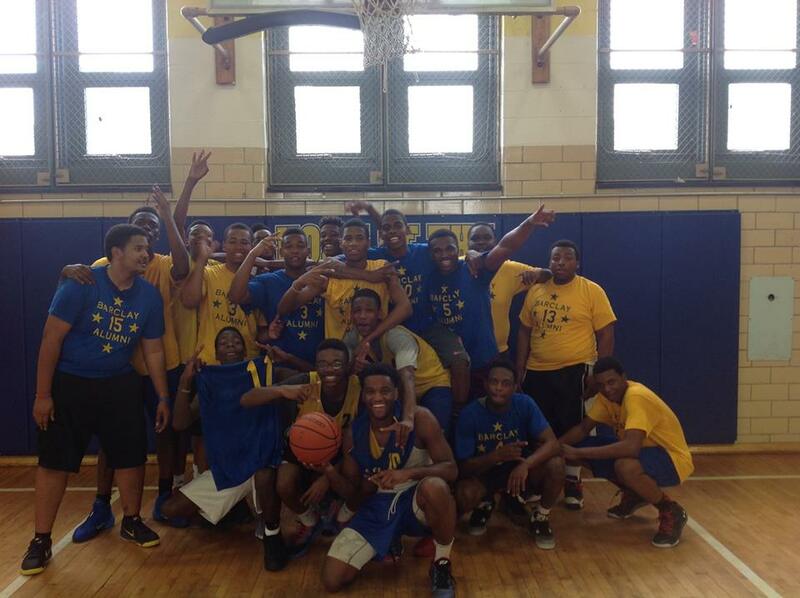 Basketball is the vessel but character, hard work, determination are the qualities the boys learn from the Program. Bulldogs always come back to volunteer at the school, cheer their alma mater on and play in our Annual Alumni game. The Alumni Game is a favorite on Barclay Street. We welcome back all the Old Dogs and cheer on the Young Ones. Can you pick out three of the original Fab Five in this picture? I think about the resources and opportunities they created for their younger classmates and smile. This Summer of 2014 we sent 40+ scholar athletes to camp for 6+ weeks of camp and training with the support from our Community and started our own camp with help from BaroodyCamps, Inc! Learning to Grind The Bulldog Way. Well, by far, it has been our best year. First, thank you to all those that have donated to support the boys and girls of the Barclay Community. Why has it been our best year? 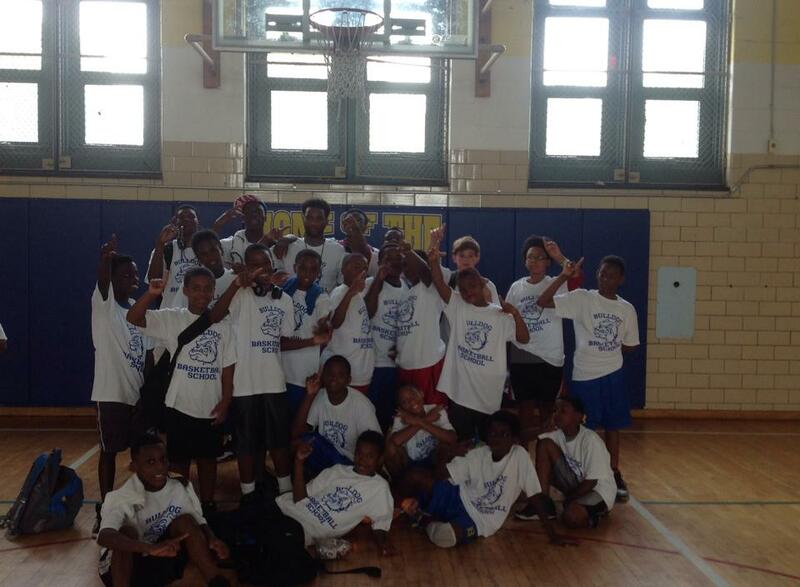 We sent 32 boys and girls to 75+ weeks of basketball camp this summer! 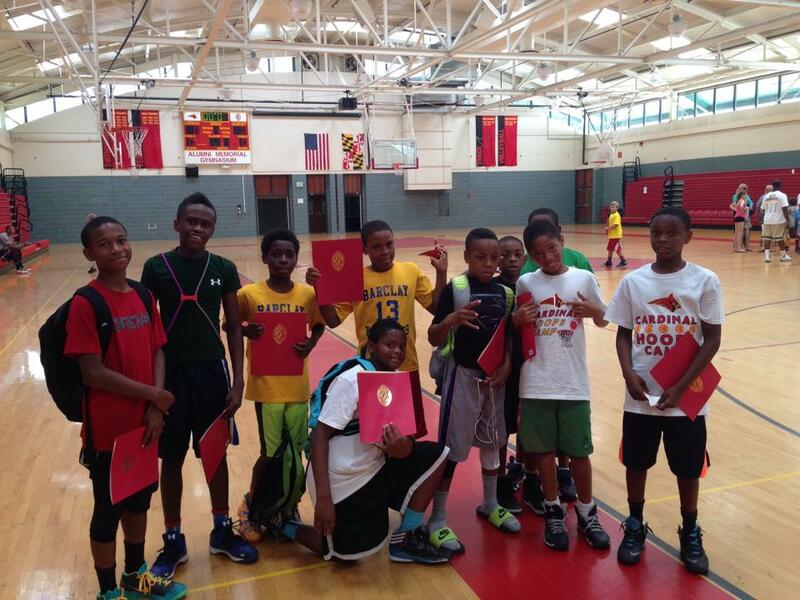 We ran TWO weeks of our own high quality basketball camp at our 29th Street Community Center in Charles Village. Thanks in large part to the Abel Improvement Association, we purchased two outdoor hoops to service more children. It was affordable for our boys and girls and we even employed 8 of our own young adults giving them a valuable work force development experience. 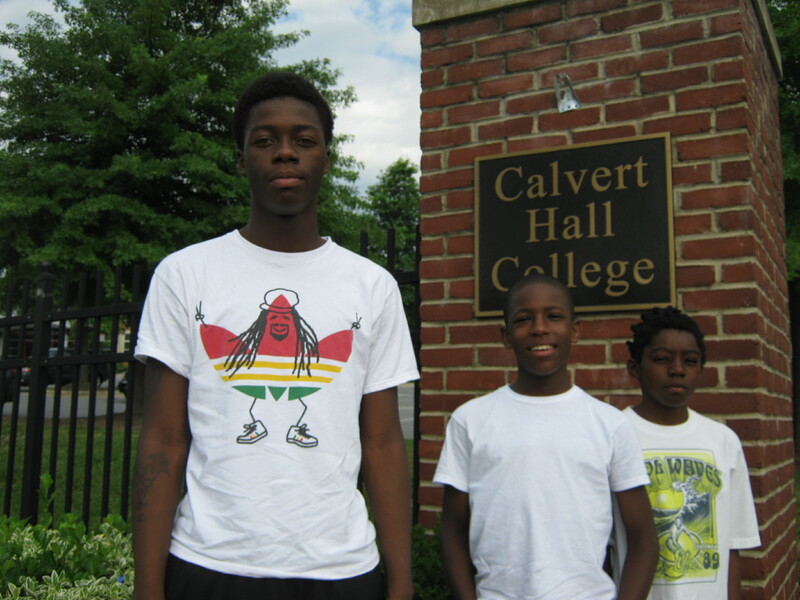 We partnered this fall with Gabriel Pickus (Abell Resident) and the Baltimore Wisdom Project. He is providing conflict resolution and violence prevention for our middle school boys EVERY MONDAY for 90 minutes before practice. We participated in two Fall Leagues! (Never did that before.) Thanks to the UCF we were able to pay for transportation to our Saturday Games at Morrell Park. It kept the students focused on their school work during the first months of school. We partnered with Dicks Sporting Goods Community Organization. They donated over $1,000 worth of products to help incentivize our student athletes. Every Bulldog Season starts at Dicks. We now have our first middle school girls basketball team! We were recognized by Strong City Baltimore as having the 2015 Volunteer of the Year! Congratulation, Pablo Koropecky! We are doing good things. Vistit our DONATION Page to help us. Stay tuned because the next wave is coming.